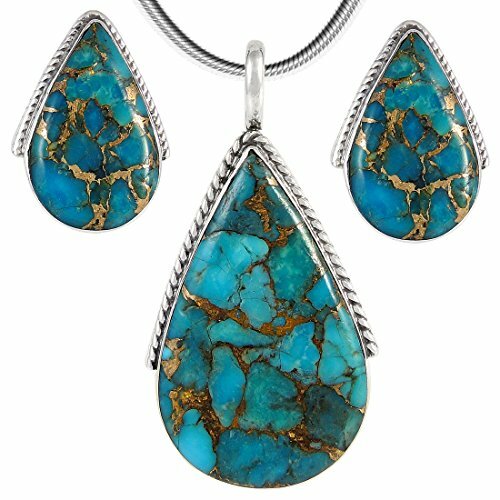 Beautiful design in solid sterling silver (925) and genuine copper-infused matrix turquoise. Amazing craftsmanship. Trendy but with a touch of Southwest flair that is always exciting! Earrings: 1/2" wide x 2/3" tall.